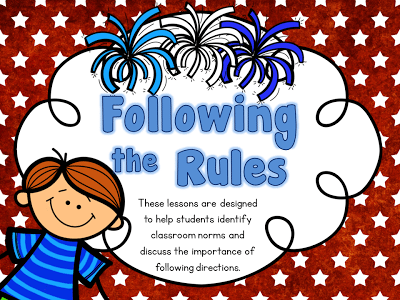 This week, I’ve been working on teaching the scientific method! 🙂 We are working on different experiments each day, and breaking down what it means to be reflective about inquiry. 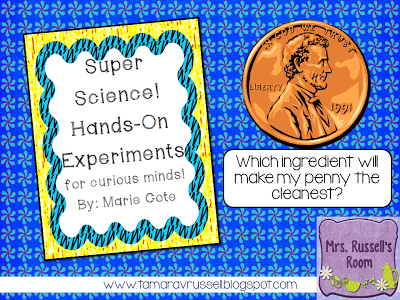 To pick up Marie’s Experiments Pack, click HERE. The students infered that people who work in the water use data…and scientists use data. 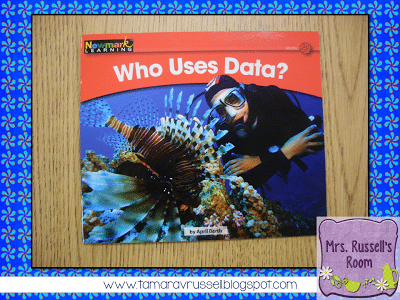 We went over our lesson’s objective, which was to know how to use data. We used the bar graph template that Marie provided in the pack to generate data for our hypothesis. I scaffolded their written response for them so that we could focus on the process of inquiry rather than spelling. 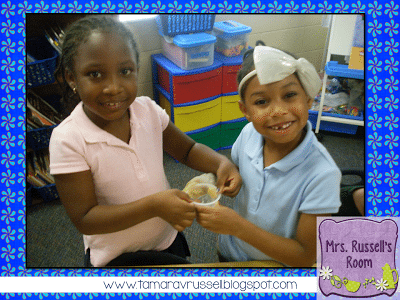 I asked different questions about the data and then we jumped into the experiment! Basically, each team of two had a dirty penny and four household items to dip it in to see which one would be the best cleaner. 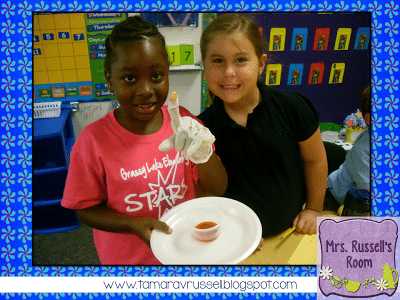 Marie suggested that we use vinegar, taco sauce, vinegar and salt, and plain water. 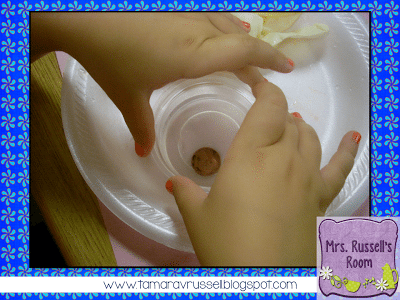 These two students are shaking their penny in water! It looked like it was going well! 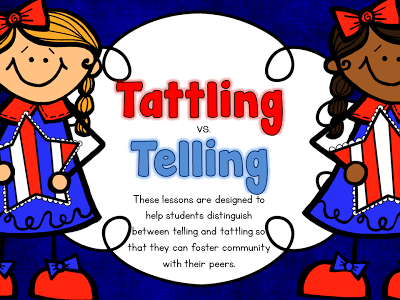 Previous Post: « My very first….Teacher Talk Tuesday!